Here at Newcastle Lodge and Convention Center, we don’t just strive to make you feel at home. We want you to really feel like you’re on vacation. We guarantee that you be greeted by our warm and welcoming staff, have a comfortable bed in one of our 59 rooms, and access to Grazer’s Burgers delicious, fresh food and cold draft selections. Our goal is to provide a fast and delicious meal experience for busy people just like you. 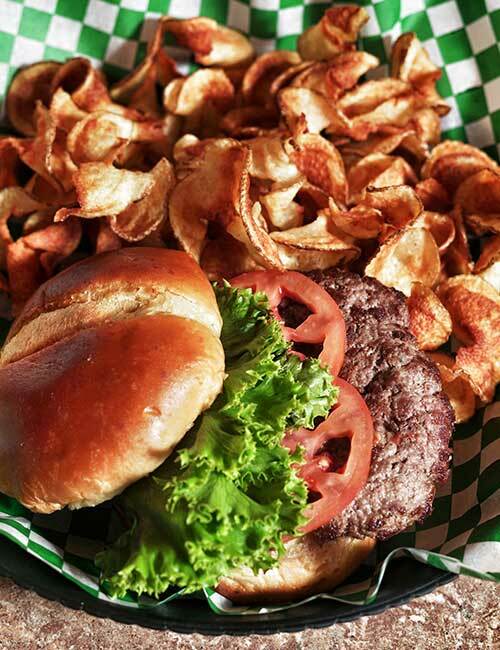 Sink your teeth into Grazer’s fresh, never frozen burgers and add on a side of homemade french fries or chips made from real potatoes. Dress your sandwich up with all the fixings and pile all of your favorite extras on top. A poolside room, heavenly bed, complimentary breakfast, state-of-the-art fitness center, and our warm, welcoming staff are ready for you. What are you waiting for? Book now.